I was recently asked by a friend via Facebook about image management and work flow. The question was involved enough that I felt like writing an article about it. If you have a question you think would make a great article feel free to ask me via Facebook or Twitter. So here is the three part question from Chuck Cage via Facebook. 1) What's the best system to store them? Date? Date then "session?" 2) I have a full Adobe subscription. What's the best of their software to help me sort/maintain archive/find things? Oh man, is this one a bit of a thorny issue. Personally my image management is tied very much to my work flow. For me Bridge and Photoshop work fine along with an application like Evernote as I keep a shooting log there. 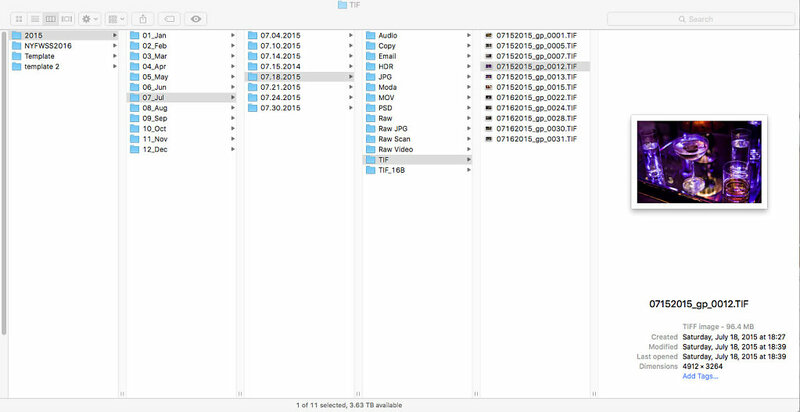 Using the date in the shooting log I can quickly find what I am looking for on my storage drives. That said, my system is pretty archaic and has quite a few drawbacks, most of all keyword search. 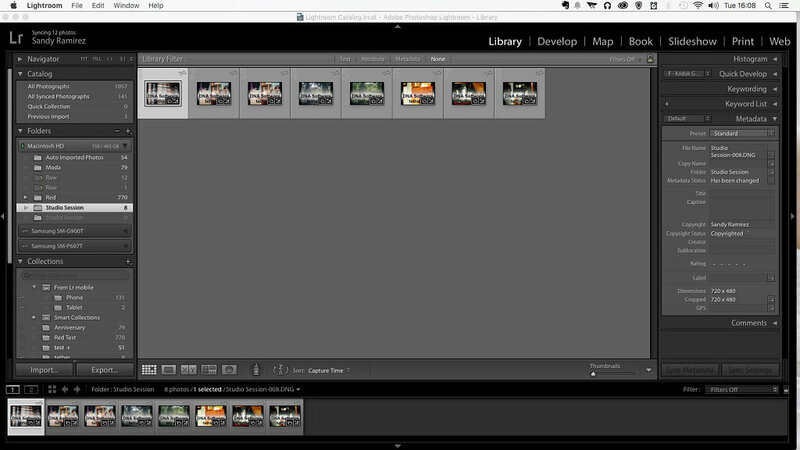 Now if I were more of a photo journalist, where such searches are more useful Adobe Lightroom is a better system. 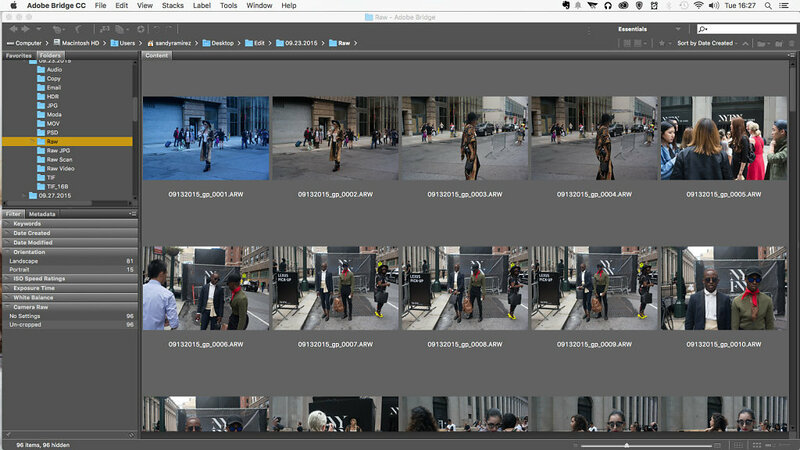 Lightroom can let you use a file system much like I do, but also allows you to work in "collections" which have a plethora of benefits, some of which I will discuss on my article on Medium Format Work flow. Collections are much like Albums in iPhoto, but with far more power. 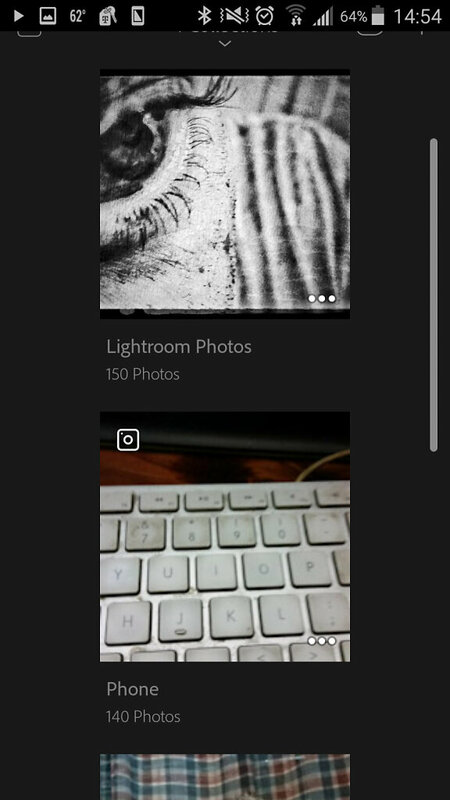 You can also using keywords sort your images into Collections which makes the tracking down of images far easier. Finally Collections can be cloud synced to a mobile device like an iPad or in my case the Samsung Galaxy Note Pro 10.1 2014 that I am writing on. Using Lightroom Mobile you can even do post production on the images and have those changes update back to your desktop. If you have a way to transfer images from your camera to your mobile device you can also add images via Lightroom Mobile to your system, though do this over WiFi as if you shoot in DNG like me your data rates will choke on a single shoot. 3) My workflow is generally simple: d/l card to folder, use bridge to browse/flag interesting stuff, select from sorted, open in PS, process, throw away PS. How dumb is this? Well outside of deleting files I didn't use on first go, this isn't dissimilar to what everyone does. To be honest from what you are stating Lightroom would be a better choice unless you really need to do some heavy post work. Lightroom allows some post work to be done and even supports layers and via several third parties allows the application of specialized filters. My work flow for instance is not that different than yours. I transfer the card (if shooting on cards), rename, add keywords and other EXIF data, select and tag, batch convert to 16 Bit Tiff and then start post work in Photoshop. After that I will convert the final images to JPEG for Web or transfer in most case. Well folks that covers it for today. If you want your question answered here in this section please feel free to ask via Facebook or Twitter using the hashtag #qftg.